Mediaplanet and Carnival Cruise Lines unite on a digital resource for people who want to plan a vacation without breaking the bank. New York, NY – July 04, 2013 – At the onset of the recession, the cruise industry remained buoyant, even as Americans were cutting corners by skimping on dining out, family vacations and other so-called “luxuries.” A special digital campaign, created by Mediaplanet in collaboration with Carnival Cruise Lines, reveals how the cruise industry was able to navigate even the most treacherous economic waters—by offering accessibility and affordability. For people who have been daydreaming about a summer getaway that seems beyond their means, the site also offers unique ideas for vacationing on a budget. Contrary to popular belief, taking the entire family island hopping in the Caribbean or planning an extended multi-destination honeymoon in Europe does not have to break the bank. “A cruise ship is really a floating resort,” says Butch Begovich, cruise director with Carnival Cruise Lines. But while a typical seven-day, all-inclusive resort stay can set a vacationer back $1950, the campaign reveals that a weeklong cruise can cost as little as $1106. A survey conducted by the Florida-Caribbean Cruise Association found that more than 60 percent of cruisers were repeat customers; and it’s not just the attractive rates that keep them coming back for more. Cruise lines have continually stayed ahead of the curve by remodeling their liners, revamping their menus, adding more ports of call and providing more on- and off-board activities – all while maintaining competitive prices. From Alaska to the Bahamas, basic burgers to spicy Mexican burritos and waterslides to adult-only lounge decks, a vacation onboard offers something for everyone. The campaign further points to the great deal of coordination, energy and time that is required for land and air travel as being major drawbacks that kept people from conventional travel, but that gave the cruise industry a boost. Cruises have been taking the hassle out of getting from point A to point B by offering more ports of departure. 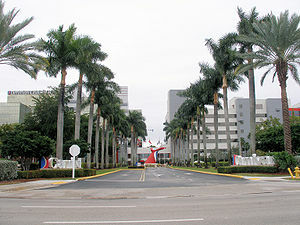 Carnival Cruise Lines, for instance, offers 15 departure ports along the U.S. coast. And with the broad array of restaurants and activities onboard while traveling from one exotic locale to the next, cruisers can essentially vacation their way to a vacation. However, the vast options offered by some cruise liners can be overwhelming to both first-timers and seasoned cruisers alike. To make the vacation planning process “smooth sailing,” Carnival Cruise Lines has simplified it by offering the Vacation Planner – an online tool to pare down the options and personalize the cruise experience. Despite taking a heavy hit in recent years, it is the travel and hospitality industry that is currently leading the way in economic growth and recovery by adding more jobs than any other sector; and it’s the cruise industry – with its innovation, limitless options and affordable rates – that’s leading the fleet.